This section summarizes the changes in this release in the installation and configuration of XenApp and XenDesktop. You can now use the full-product installer’s graphical interface to install the Self-Service Password Reset Service. For information about the service, see the Self-Service Password Reset articles. In the Site creation wizard, a newer SQL Server Express version is installed by default for use as the Site database: SQL Server 2014 Express. When using Machine Creation Services to create a Machine Catalog containing desktop OS VMs, you can now choose whether MCS provisions thin (fast copy) clones or thick (full copy) clones. For details, see the Create Machine Catalogs article. VDAs that are not registered with a Delivery Controller are not considered when launching brokered sessions, which results in underutilization of otherwise available resources. There are a variety of reasons a VDA might not be registered, many of which an administrator can troubleshoot. This XenApp and XenDesktop version offers significantly more information about the VDA machines, both when you add existing machines to a Machine Catalog, and after you add a catalog to a Delivery Group. In the Create Machine Catalog wizard, after you add existing machines, the list of computer account names will indicate whether each machine is suitable for adding to the catalog. Hover over the icon next to each machine to display an informative message about that machine. If the message identifies a problematic machine, you can either remove that machine (using the Remove button), or add the machine. For example, if a message indicates that information could not be obtained about a machine (perhaps because it had never registered with a Delivery Controller), you might choose to add the machine anyway. The message indicates if a machine contains a VDA that is an earlier version than the minimum functional level selected in the dropdown at the bottom of the page. The functional level controls which product features are available to machines in the catalog. Using features introduced in new product versions may require a new VDA. Setting a minimum functional level makes all features introduced in that version available to the catalog. However, machines with an earlier VDA version will fail to register. After you create a Delivery Group, Studio displays enhanced details about machines associated with that group. The details for a Delivery Group now indicate the number of machines that should be registered but are not (for example, machines that are powered on and not in maintenance mode, but are not currently registered with a Controller). When viewing a “not registered, but should be” machine, the new Troubleshoot tab in the Details pane provides possible causes and recommended corrective actions. You can now use supported versions of System Center Virtual Machine Manager to provision VMs that will be used to create AppDisks. For supported SCVMM versions, see the System requirements article. For AppDisks information, see the AppDisks article. When you use the App-V single admin method, creating isolation groups allow you to specify interdependent groups of applications that must run in the same isolation space (sandbox). This feature is similar, but not identical to App-V connection groups. For details, see the App-V article. The publish content feature allows you to publish document files, media files, web URLs, and other types of files from any network location. This feature is currently available through the PowerShell SDK. For details, see the Publish content article. In a multi-zone Site, the zone preference feature offers the administrator more flexibility to control which VDA is used to launch an application. You can define preferred zones for applications and users, and then indicate if and when those preferences will be considered when the Delivery Controller broker selects a suitable VDA. For details, see the Zones article. When you use the full product installer to deploy or upgrade components, anonymous information about the installation process is gathered and stored locally. You can now choose whether that information is automatically uploaded to CIS. For details, see the Citrix Insight Services article. Resource utilization reporting. Provides insight into historical trends data for CPU and memory usage for each VDI machine for better capacity planning. In Trends > Resource Utilization, reporting is available for Desktop and Server OS machines showing Average and Peak CPU, Average and Peak Memory and Peak Concurrent Sessions. All reports can be exported in PDF, CSV and Excel format. The administrator can drill down to the machine and view historical utilization data and charts for the top 10 processes consuming CPU and memory. A new policy setting, Enable Process Monitoring, must be enabled to collect and display the data in the Top 10 Processes table on the Historic Machine Utilization page. For more information, see Monitor deployments, Resolve application failures and Monitoring policy settings. Create new alerts policies for users. You can set up alerts policies to monitor and alert for ICA RTT and Logon Duration thresholds for specific sets of users. Create new alerts policy conditions. New conditions can be set in Server OS and Delivery Group alerts policies: CPU, Memory, ICA RTT (Average), ICA RTT (No. of Sessions) and ICA RTT (% of Sessions). You can also set CPU and Memory as conditions in Site alerts. Filter Citrix Alerts by User. In the Citrix Alerts tab, set the Source to User to filter all Citrix Alerts by a specific user. Data limits supported by an export are defined based on the supported report file formats, PDF, Excel and CSV. These limits are applicable for all standard configurations of Director. The number of parallel export instances is limited to two. For more information, see Monitor deployments. Automate Director notifications with Citrix Octoblu. Director supports the integration of Citrix alerts with Octoblu webhooks. 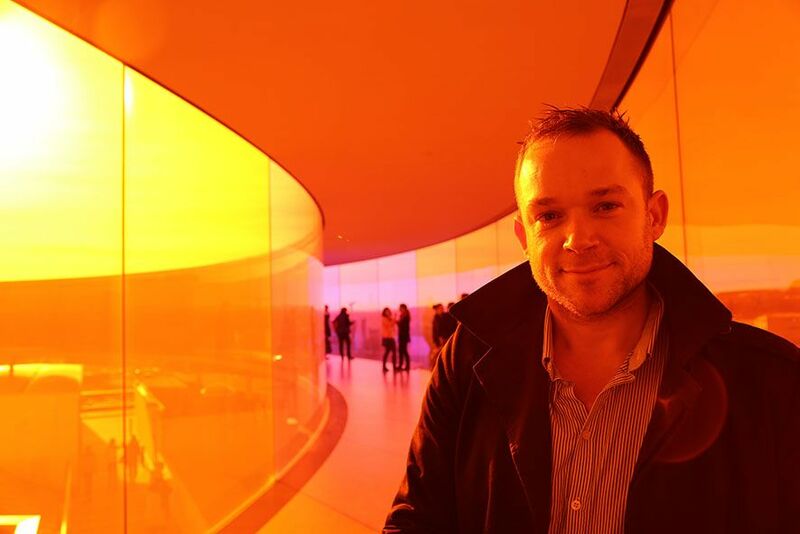 Octoblu is an IoT messaging and automation platform from Citrix. This feature opens up the use of Octoblu’s communication layer to process Citrix alerts with IoT services. You can configure the webhook URL of an Octoblu workflow automation in an alert policy using PowerShell cmdlets. This triggers the Octoblu webhook when the alert is generated, then at the re-alert interval time and once the alert status is healthy, enabling seamless integration with the alert handling platform. For more information, see Configure alerts policies with Octoblu webhooks in Alerts and notifications. Session Recording includes the following new features and enhancements. 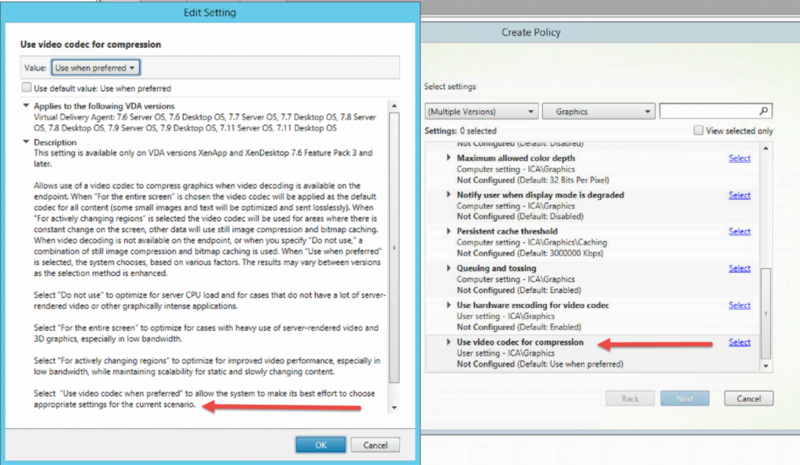 Changes to recording policies in the Session Recording Policy Console or Citrix Director. Changes in the Session Recording Server Properties. Downloads of recordings in the Session Recording Player. Recording a session by Session Recording after the policy query. Unauthorized attempts to access the Administrator Logging service. Selective use of a video codec (H.264) to compress graphics. Combines the use of a video codec (H.264) with HDX Thinwire. Identifies areas on the user’s screen which display actively changing content, such as a window running a video or CAD manipulation, and compresses the data using the video encoder. Still image compression and bitmap caching continue to be used for areas of the screen using text-based data (for example Word, Excel, and Windows Explorer). Users get the benefit of lower bandwidth use for the video content combined with sharpness of text in applications they are working with elsewhere on their screen(s). To enable this feature, change the policy setting Use video codec for compression to the new option For actively changing regions. The default policy setting for Use video codec for compression is Use video codec when preferred. With the default setting, the system uses Thinwire to provide the best experience possible. For more information, see Graphics policy settings. Enhancement to caching behavior of video content in Thinwire. Thinwire can now bypass caching of server-rendered video content while at the same time retaining cached bitmaps for other open windows using text-based data (for example Excel, Windows Explorer, desktop background), resulting in a 5% reduction in bandwith use. This enhancement is available in XenApp and XenDesktop 7.11 with Citrix Receiver for Windows 4.5 and Citrix Receiver for Linux 13.4. For the main article on Thinwire, see Thinwire. Seamless publishing of Universal Windows Platform (UWP) apps. Add universal apps to Delivery Groups and launch from Citrix Receiver. Support for publishing universal apps gives users a seamless experience of new apps developed for Windows 10 and Windows Server 2016 using the Universal Windows Platform (UWP). This feature is available in this release for VDAs for Desktop OS on Windows 10, and for VDAs for Server OS on Windows Server 2016. For more information, see Universal Windows Platform Apps. Generic USB redirection for mass storage devices on XenApp. Version 7.9 introduced support for generic USB redirection (USB plug-and-play) for mass storage devices on XenApp, enabled with a registry key. In 7.11, generic USB redirection for mass storage devices is enabled by default. XenApp users can interact with mass storage devices in a XenApp session as if the storage device was physically attached. For more information, see USB and client drive considerations and the Citrix Receiver for Windows section Configure USB support for XenApp and XenDesktop connections. Updated Client USB device optimization rules policy setting. This policy setting was introduced in 7.6 FP3 and enabled by default. The Client USB device optimization rules policy setting is now disabled by default. When a user plugs in a USB input device, the host checks if the device is allowed by the USB policy settings. If the device is allowed, the host then checks the Client USB device optimization rules for the device. If no rule is specified, then the device is not optimized. Capture mode (04) is the recommended mode for signature devices. For other devices which have degraded performance over higher latency, administrators can enable Interactive mode (02) . For more information, see USB device policy settings. Relative mouse support. Relative mouse support improves the user experience of simulator applications that use a mouse for the control of, for example, a player’s head camera. In Citrix Receiver for Windows 4.5, users can enable this setting “on the fly” in a desktop session by enabling Use relative mouse from the Desktop Viewer toolbar (Preferences > Connections). In Citrix Receiver for Linux 13.4, relative mouse support can be enabled by editing the user’s configuration file (wfclient.ini), see Citrix Receiver for Linux 13.4 for more information. Relative mouse support is available with VDAs configured in either standard or HDX 3D Pro mode. In this release, this feature is not supported with Framehawk or with published applications launched from the Start menu or a desktop shortcut. TWAIN 2.0 support. Users can now access image processing applications which use the TWAIN 2.0 scanning protocol in XenApp and XenDesktop. Citrix Receiver 4.5 or higher is required. For more information on configuring TWAIN device redirection, see TWAIN devices policy settings. Support for Windows Server 2016 Hyper-V Discrete Device Assignment (DDA). Enables GPU passthrough for XenApp and XenDesktop running on Microsoft Hyper-V. Any supported virtual machine running on Windows Server 2016 Hyper-V now has access to the physical GPU. The GPU can be used by multiple user sessions sharing Windows Server OS (Windows Server 2012 R2 or Windows Server 2016) delivered using XenApp. For professional graphics use, the GPU can be dedicated to individual users running Windows Desktop OS (Windows 7 or Windows 10) delivered using XenDesktop. Support for Windows Server 2016. StoreFront 3.7 includes support for Windows Server 2016. Support for Self-Service Password Reset 1.0. Prior to this version, StoreFront supported Password Reset using Single-Sign On. With the release of Self-Service Password Reset 1.0, use the StoreFront management console to allow users to enroll their answers to the security questions that were configured in the Self-Service Password Reset configuration console. For more information see Self-Service Password Reset security questions and the Self-Service Password Reset documentation. Support for small form factor devices. The logon UI adjusts to fit the screen of the user’s device. Zone preferences. Support for StoreFront to pass NetScaler zone preferences to the XenApp or XenDesktop Controller. For more information about zone preferences, see Zone preference in the XenApp and XenDesktop 7.11 documentation. For more information, see the StoreFront 3.7 documentation. PVS provides an enhanced diagnostic model at this release with Always On tracing using CDF. This feature, enabled during installation, leverages the CDF monitor and associated controls to upload diagnostic data to Citrix. PVS now includes support for SQL Server Always On failover in multi-subnet environments. As part of the implementation, the database server is accessed via ODBC which requires the SQL Server Native Client be installed as a pre-requisite of the PVS server software. Support for CIS problem reporting. This allows you to directly report problems you encounter while using PVS to Citrix Support. Support for Windows Server 2016 as a server and a target platform. When using this functionality, consider that PVS server supports ReFS in the quick vDisk versioning image, but it is not used for target cache devices. For more information, see the Provisioning Services 7.11 documentation. Windows Server 2016 analysis and reporting. This release adds a new module in AppDNA to automate the analysis of applications compatibility with Windows Server 2016. The Windows Server 2016 module contains a report that is made up of a suite of algorithms which validate the suitability, interoperability, conflicts and performance of your organization’s applications in a Windows Server 2016 environment. Expanded security analysis. In this release, the Compliance Manager module expands its scope of security analysis to identify and report on outdated versions of Open SSL, managed cryptography APIs, and missing SafeSEH (Safe Structured Exception Handling). For more information, see the AppDNA 7.11 documentation. Citrix Licensing Manager Enhancements – Checks the availability of Subscription Advantage renewal licenses and can notify you of their existence or automatically install the licenses. Not available in License Server VPX. Citrix License Management Service – Allows for license management and support. Links to Citrix Insight Services to provide you with a license management console. Enables Citrix to better support your license environment. Provides essential information for you to understand and control your license environment as your organization grows. Database storage – Database stores and exports the historical use data, thereby increasing performance. Profile protection – We provide profile protection by enhancing the way Profile management handles profiles. Profile management maintains a last known good backup of the NTUSER.DAT file. If Profile management detects corruption, it uses the last known good backup copy to recover the profile. For more information, see Profile Management\Registry. Enable Default Exclusion List – directories – Sets the same GPO exclusion directories as .ini configuration files. Enable Default Exclusion List – Similar to the Enable Default Exclusion List – directories, but it sets registry key exclusions. The following new features are part of this release of the Linux VDA. This release provides support for USB redirection. With this functionaliy, USB devices are shared between Citrix Receiver and the Linux VDA desktop. Once a USB device is redirected to the desktop, users can use the USB device as if it were locally connected. See Configuring USB redirection for more information. With version Linux VDA version 1.4, support was added for non-seamless published applications and session sharing. This functionality does not require additional installation steps, and no special settings are required for published apps. For more information, refer to Publishing applications. Anonymous login allows anonymous user to logon to the Linux VDA without authentication. An anonymous session doesn’t have a disconnected state, every disconnection causes logoff which clears the environment for user-specific information. See Integrate NIS with Active Directory for more information. Linux VDA Group Policy supports Citrix studio policy, which can be configured by Citrix Studio. The Linux VDA does not have the same policies as Window. For more information about the policy list for Linux VDA, refer toSetting up SSSD. Support for Master Key Identifier (MKI). MKI is an optional element of the Secure Real-Time Transport Protocol (SRTP). Some third party products (for example, Snom IP phones and Cisco TelePresence VCS) require this optional field whenever encryption is enabled. The HDX RealTime Optimization Pack can now interoperate with such products. This Technology Preview enables you to evaluate HDX video redirection of HTML5 based videos. This Tech Preview is available to Citrix Partners and XenApp or XenDesktop Customers with current Subscription Advantage (SA) or Software Maintenance (SWM). The HTML5 video redirection feature works with Receivers that have support for multimedia redirection protocol (RAVE). This Technical Preview does not work with Microsoft Edge and Windows Server 2016 beta release, and is not supported with upgrades or migrations in the future. Also not included is download progress in some Receivers. The Technical Preview VDA is downloaded from the XenApp/XenDesktop 7.11 downloads page. How to tell if my video is redirected? While the video is playing, a noticeable “lag” or “jump” in the video window when you move the browser around on the screen or scrolling the browser indicates that the video is being redirected. Another way to is to look at the CPU consumption on the VDA, before and after you start playing the video. When the video is redirected to the client, there will not be a significant increase in the CPU consumption on the VDA. How do I enable HTML5 video redirection in my own environment? Starting with Version 4.5, Citrix Receiver for Windows allows users to add a NetScaler URL via Group Policy Object. By adding the NetScaler URL in the GPO, Citrix Receiver for Windows Installation continues without prompting users to enter the NetScaler URL again. See Configuring NetScaler URL via GPO for more details. Starting with Version 4.5, both audio devices via USB redirection and optimized audio devices can be used simultaneously in a session on a XenApp server or the VDA for Server OS. USB audio devices that can be redirected can now be configured on a per user basis, so that the user can control how to use the devices. Previously, this level of granularity was not available. Note: This feature is available only on XenApp server. See Configuring USB audio per user for more details. Starting with Version 4.5, all Citrix Receiver for Windows template files are merged into a single file called receiver.adm / receiver.admx / receiver.adml. This template file is typically present in <Installation Directory>\ICA Client\Configuration directory. The corresponding language file is typically present in <Installation Directory>\ICA Client\Configuration\[MUIculture] directory. Note: If Citrix Receiver for Windows is installed with VDA, admx/adml file is found in the installation directory. For example: <installation directory>\online plugin\Configuration. See Configure Receiver with the Group Policy Object template for more details. Starting with Version 4.5, Citrix Receiver for Windows allows users to select the applications they want to display in their Windows Start menu or on the desktop. This feature allows users to find all their published apps within the familiar Windows navigation scheme where users would expect to find them. Start menu integration and desktop shortcut management provides a seamless desktop experience for groups of users who need access to a core set of applications in a consistent way. Workspace settings let desktops and applications follow a user from one device to another. This ability to roam enables a user to access all desktops or open applications from anywhere simply by logging on, without having to restart the desktops or applications on each device. For example, workspace control can assist health-care workers in a hospital who need to move quickly among different workstations and access the same set of applications each time they log on. You can configure workspace control to allow these workers to disconnect from multiple applications on one client device and then reconnect to open the same applications on a different client device. Users can modify the Application Display and Reconnect Options preferences from Advanced Preferences > Settings Options. Note: To hide the Settings Option button from the Advanced Preferences dialog, enable ‘DisableSettings’ policy under SelfService node in Local Group Policy. This is a per machine setting; hence the behavior is applicable for all users of the same device. See Configuring Application Display via Graphical User Interface and Configuring Reconnect Options via Graphical User Interface for more details. The Add account dialog is displayed when the Store is not configured. Users now have an option to select a checkbox on the Citrix Receiver Installation Wizard to prevent the Add Account window on subsequent logons. See Suppressing Add Account dialog for more details. A new option called ‘Configuration Checker’ is now present in the Advanced Preferences. Users can run configuration tests to ensure that all checkpoints of the Single Sign-on feature are configured properly on Citrix Receiver for Windows. See Checking Single Sign-on Configuration using Configuration Checker for more details. Citrix Receiver for Windows Version 4.5 supports smart card authentication for Web Interface 5.4 with XenApp 6.5. If the XenApp PNAgent site is configured with smart card as an authentication method, users can log on to Citrix Receiver using a smart card. For more information about smart card authentication, see Knowledge Center article CTX129096. A new smart card removal policy has been introduced for smart card removal in the Client Group Policy settings. If Citrix Receiver for Windows is installed with the SSON component, Single Sign-on is enabled by default even if PIN pass-through for smart cards is not enabled. The pass-through setting for authentication methods is no longer effective. For more information about pass-through authentication, see Knowledge Center article CTX133982. See Configuring Smart Card Removal Policy for Web Interface 5.4 for more details. Starting with Version 4.5, Citrix Receiver for Windows supports TWAIN 2.0 devices. Twain devices such as digital cameras or scanners help in optimizing image transfers from server to client. See Twain devices policy settings for more details. Relative mouse support improves the user experience of 3D and gaming applications that use a mouse for control; for example, a head camera. Users can enable this setting in a desktop session by enabling Use relative mouse from the Desktop Viewer toolbar (Preferences > Connections). This feature is available only in published desktop sessions and requires Version 4.5 of the Citrix Receiver for Windows and Version 7.8 or later of the VDA. See Relative Mouse for more details.